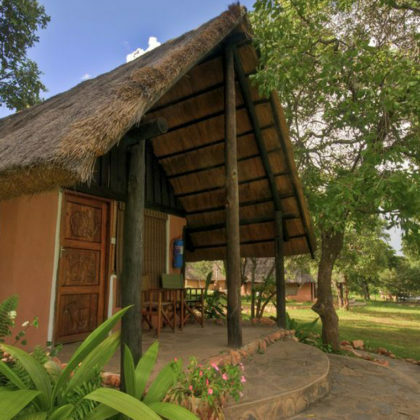 After your arrival you will be picked up from Lusaka International Airport and transferred to Pioneer Lodge just outside Lusaka. Depending on your arrival time your first day gives you the chance to relax by the pool or explore Lusaka; your car will be delivered to you at Pioneer the next morning. After breakfast you will depart for Lake Kariba which used to be the biggest man-made dam in Africa before the Aswan Dam in Egypt was opened. 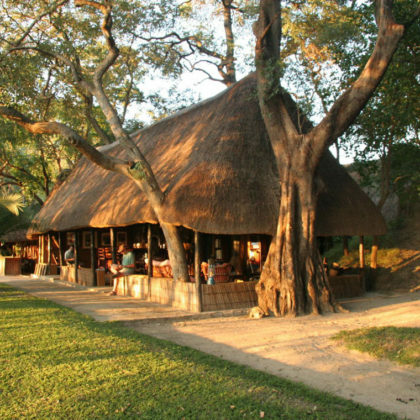 The trip which is about 5 hours will take you through Kafue Town, where you will cross the Kafue River to Mazabuka, Zambia’s sugar capital (where you will see enormous sugarcane plantations which get their water from the Kafue Flats). The majority of your trip is on a high plateau (about 1100-1200 above sea level). From the high plateau you descend to a much lower, drier and hotter area. Along the road are areas dotted with old Baobab trees and traditional villages. Time stood still here. The last few kilometres to your destination are on sand tracks. Suddenly the lake and your accommodation appear on the horizon. 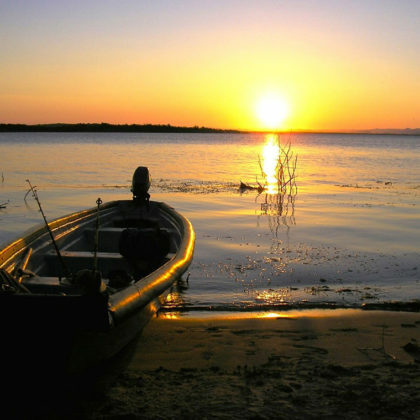 You will spend the following days relaxing at Lake Kariba. The lake is famous for its spectacular sunsets. You will visit islands full of game and watch elephant and other wildlife from your house boat. 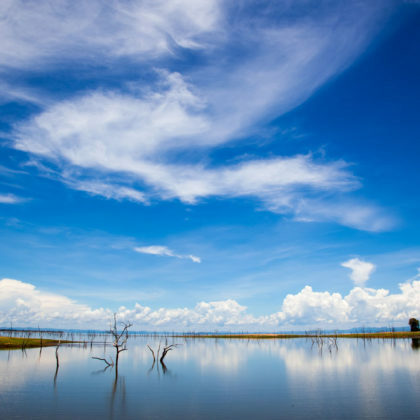 Leaving Lake Kariba you will travel to one of the Seven Natural Wonders of the World, Victoria Falls in Livingstone. Livingstone was the capital of Zambia from 1911 till 1935 and you can still find old colonial buildings in town. 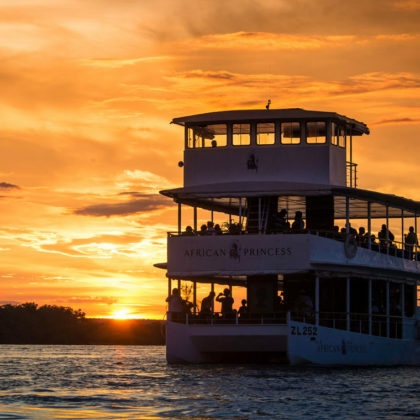 The main attractions of Livingstone are the Victoria Falls, the famous bungee jumping from the Zambezi Bridge, the wildest commercial rafting in the world and romantic sunset cruises on the Zambezi. Besides all these activities there is an extensive souvenir market where you can track down the perfect reminder of your time in Livingstone. Today you will be travelling a less well known route, through South Western Zambia. On your path westwards you will pass Kazangula and Sesheke. After crossing the Zambezi you will head in a more Northern direction until you reach your destination. 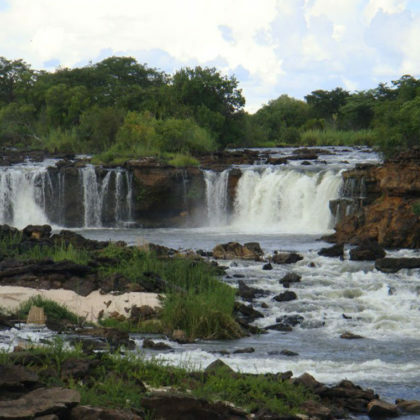 It is definitely worthwhile to take a day trip to the Sioma Waterfalls (70 km upstream). As fuel is not available along most of the route make sure to fuel up at Kazangula or Seskeke! Today your journey carries on northwards crossing the Zambezi just before Senanga and carrying onwards towards Mongu. On your journey you will see the Kalahari Sands and the Zambezi floodplains. In Mongu your route takes a sharp turn to the east which you will follow through the Kafue National Park until you reach your destination. Travelling time depends on the state of the road (where construction works have finished) and whether the bridge at Senanga has been completed or if you are dependent on the pontoon. We advise you to leave as early as possible to count in any possible delays. After breakfast (or lunch depending on what you want to see in Lusaka) you will drive from Mukambi back to Lusaka. The trip to Lusaka will take you about 3.5 hours, add 30 minutes more for the airport. In Lusaka you have the remainder of the day to do some curio shopping at the craft markets, do a city tour or relax on the terrace of one of the many restaurants in Lusaka. Your car will be picked up at the airport so all you have to do is get there in time!